The top ten summer activities for homebodies. Why leave the house when you can have this much fun at home? Summer is here and I am so excited! The winters are downright brutal in my neck of the woods and the calendar is always jam packed from September to June. When school ends and I finally get to rip those chilly pages out of my planner, I embrace summertime with a vengeance. Now, I know that for some people, summer means escaping to fabulous vacation destinations. Hotels and highways have never been my thing. My house and my hometown are my favorite places and even though a few days away can be a welcome change, I find that my most enjoyable summer memories are made right here. In the place I love. Then every day is a vacation and there's no passport required. 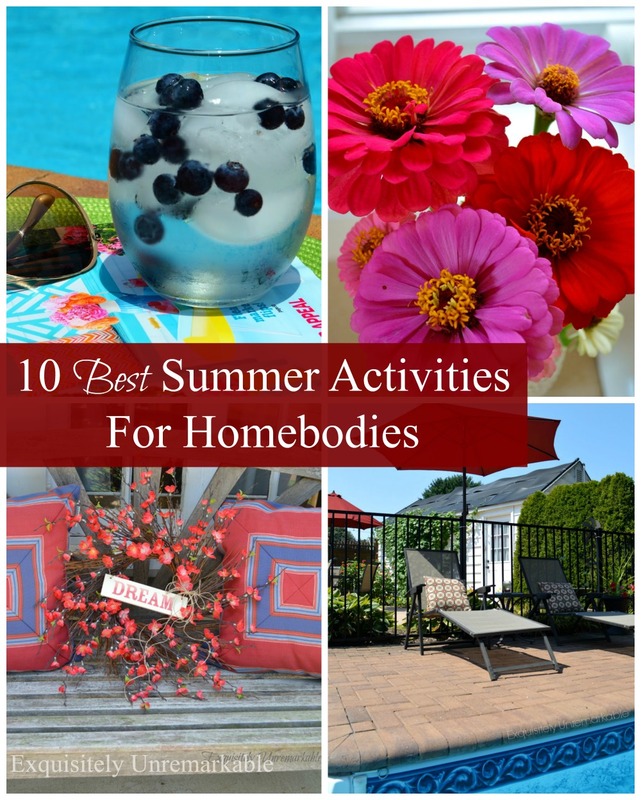 Here are my top ten favorite summer activities for homebodies. 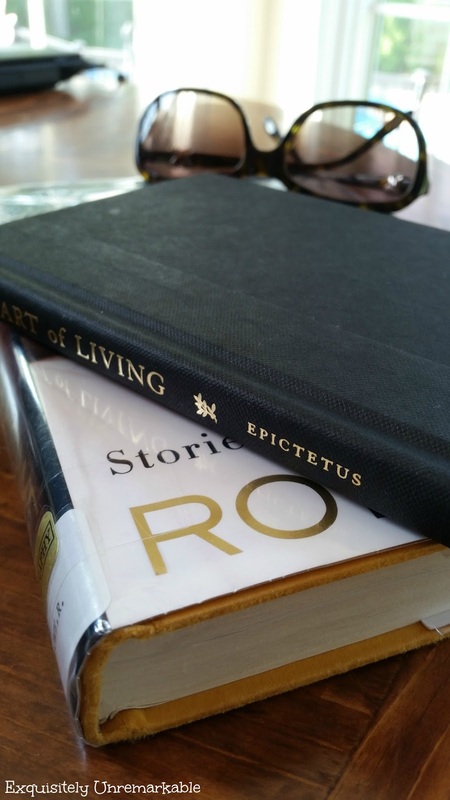 I don't know what it is about summer, but it's always more fun to dig into a good book more when it's hot outside...toes in the sand at the local beach...floating in the pool...swinging in a hammock. Juicy romances or brutal non-fiction tales (my favorite). There's room for all...even cheesy memoirs. We have worked hard to make our home a haven. During the school year, we don't have the time to kick back and soak in all the beauty we have created or the natural views we are surrounded by. 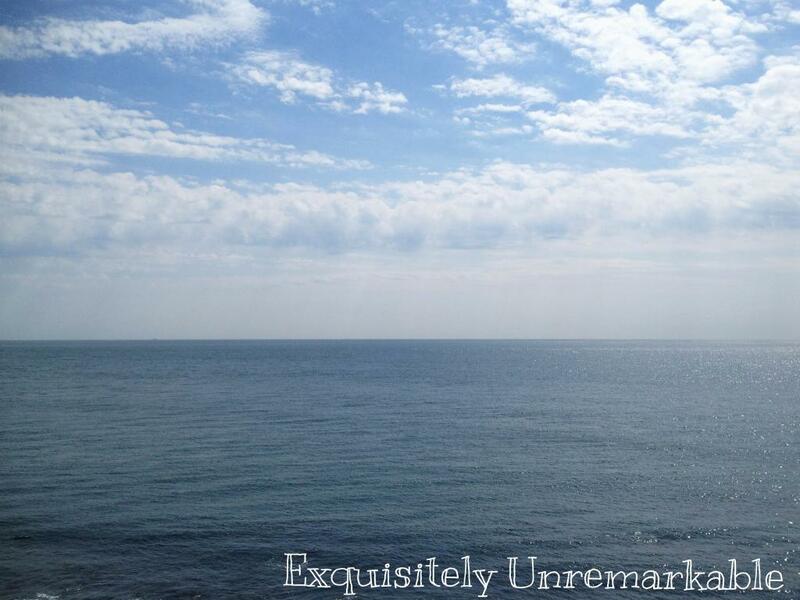 The unscheduled weeks of summer are the perfect time to take it all in. We don't make a hard and fast list of what we want to do, we each compile a wish list and use it as a guide. When the mood strikes us, we chose an adventure. If not, a backyard UNO marathon is a great way to spend the day. 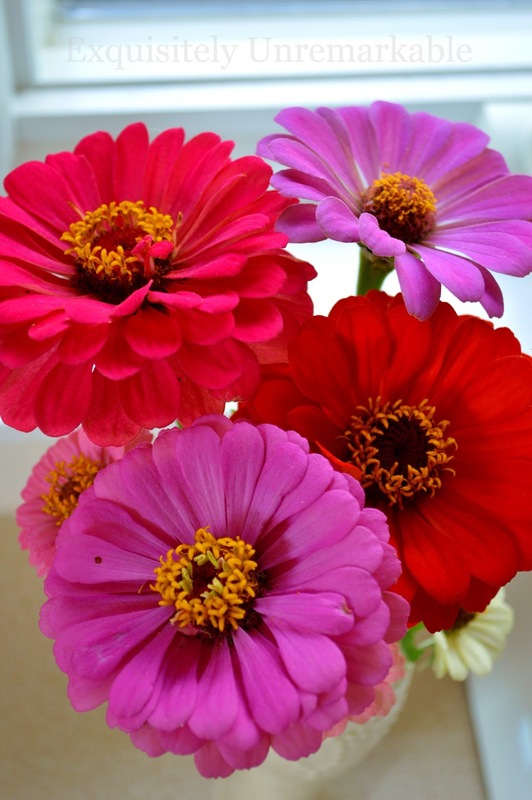 I am not the best gardener, but wandering around my yard, bare toes on the warm ground, watering the flowers and grabbing a few blooms for my kitchen is something I could do for hours. Why stay inside when the weather is calling you out? 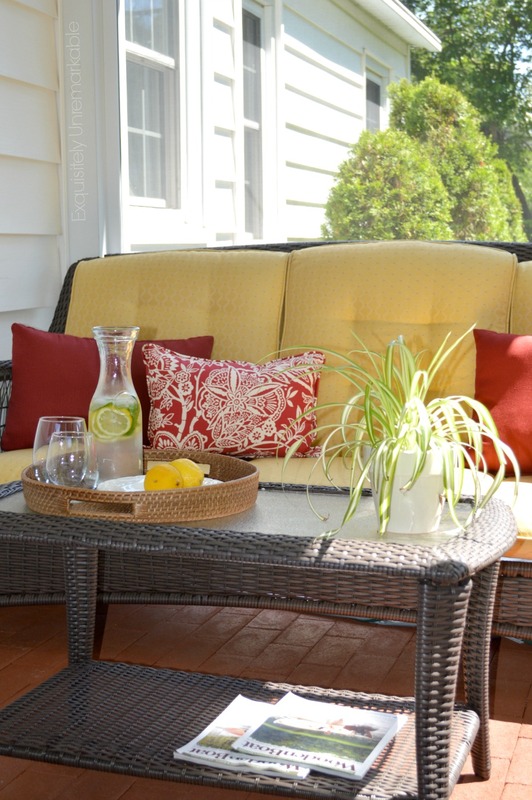 There are so many ways to make porches and patios pretty and I revel in the task! I'm not sure what I enjoy more, relaxing in a cozy space or creating it. Probably the DIY even when my husband is calling me to sit. Why go to a restaurant when the stars are brighter in your own backyard? Eating on the patio is a pleasure, especially when it involves a fun and fruity beverage. I'm not a big cook, but man, what I can do with a glass of water! Crafting something I love to do anytime of the year, but during the summer, I have hours and hours to dream up all sorts of fun things to do...like make wreaths. 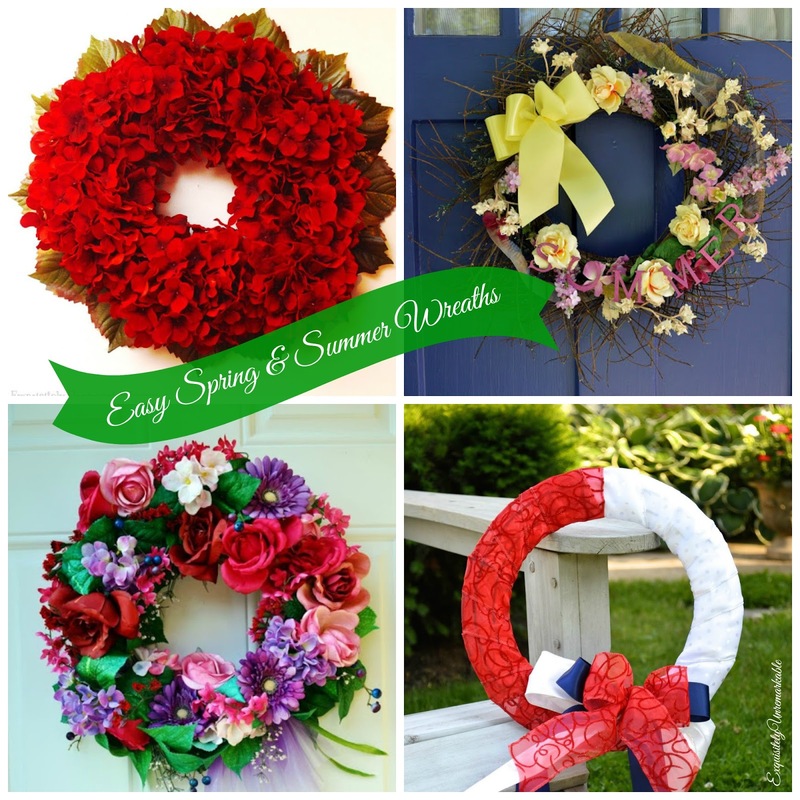 While I'm a huge fan of Christmas in July, but for some reason, flowers just scream summer to me, and wreaths are a great way to play with them. Even better, I can sit on the covered porch with my needle and thread or glue in the garden. When the kids were little, I saw my girlfriends often. Playdates, carpools and PTA committees kept us in touch on a daily basis. Today, we all work in some capacity, the kids drive themselves and the room rep volunteer days are long gone. Heck, with texting, we don't even talk on the phone anymore. So we plan our time together and make it count. Dinners or small gatherings at each other's homes and local shopping sprees (traditional stores or thrifting) are some of the fun things we have done. 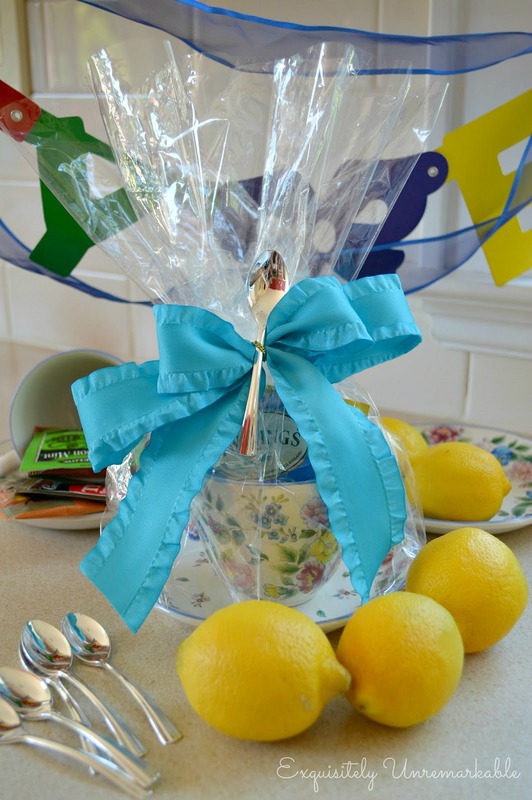 I still haven't hosted my backyard tea party, but I am hoping that this is summer!! 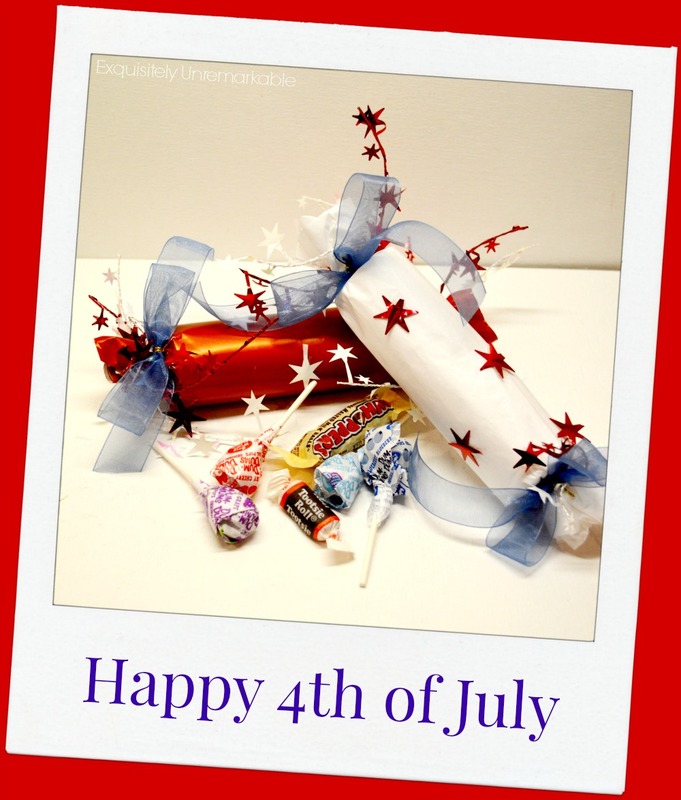 Yes, yes, July 4th is the big holiday, but there seems to be lots of reasons to celebrate when it's warm. Whether it's an impromptu gathering at the beach down the street or in someone's backyard, weddings, birthdays, graduations and showers take on a whole different vibe al fresco! Summer days, and especially the nights, are made for family fun and creating memories. Of course, inside takes on a different vibe in summer, as well. 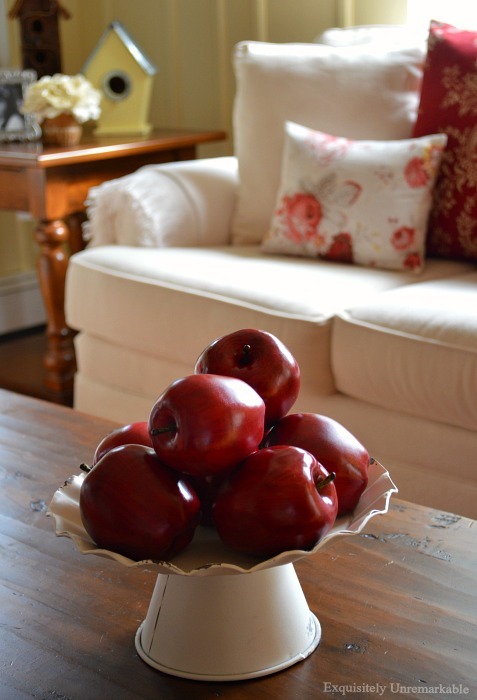 I update a few key pieces in each room to lighten up the spaces and welcome the warmth. Pillows and curtains are the easiest items to swap for the most impact and easy. Even if they aren't so easy to make!! I think I have saved the best for last. This homebody loves to swim and I try to get in the water every single day. Some days, it's at the beach, others it's in the pool...mine or a neighbor's. Either way, the weightlessness and time spent in my bathing suit...paddling around or just floating...makes me feel like I am on vacation. And I didn't even have to leave home. Are you a summer homebody? 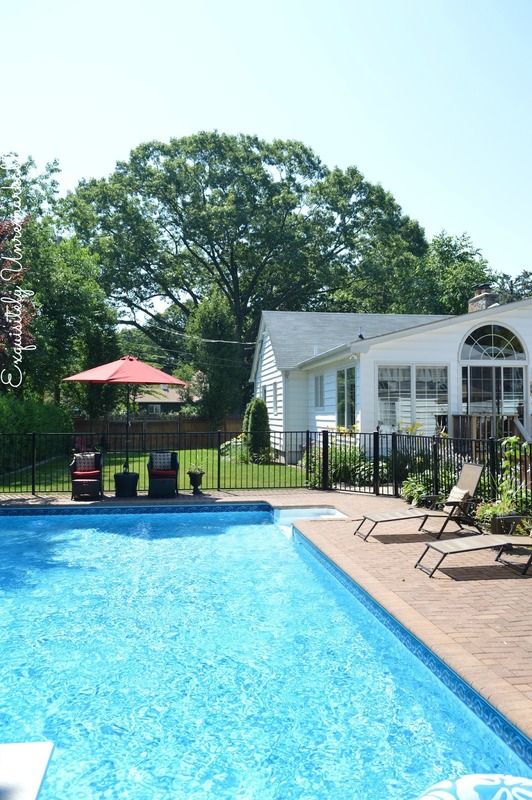 My summer has some/most of your 1-10 . . .
We don't have a pool though and yours looks inviting and delightful! Enjoy these next weeks . . . Happy 4th too . . .
Come on over, Lynne! There's always room for friends in the pool! I am actually not a huge summertime traveler. Why fight the crowds when we can go when it's far less busy? I had no idea you were a wiz with a glass of water Kim! You're a woman of many talents ;). Thank you, Celestina! We do enjoy the pool. It does make every day feel like vacation! 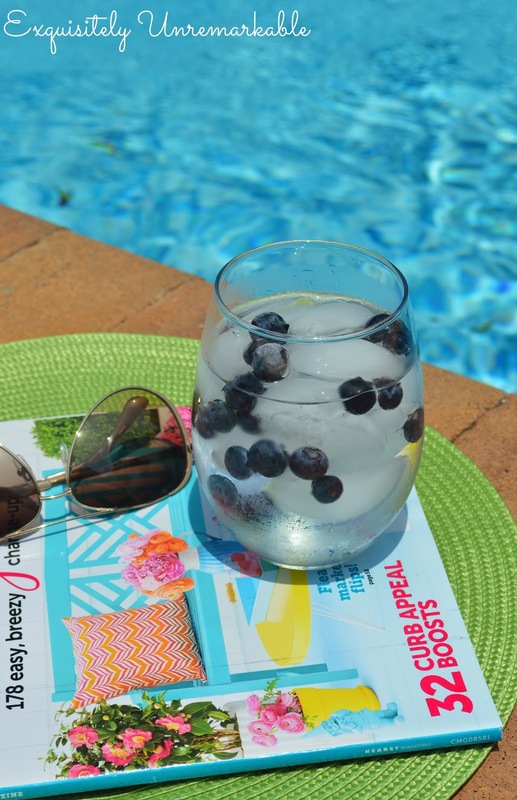 Love these sweet ideas for simply enjoying the moments of Summer! Reminds me that I need to get that new book for book club too. Kim I have to admit that I'm also a homebody and most of those activities are my favorites too. I hope you enjoy your summer and relax as much as possible. Thanks Mary!! I hope you enjoy crafting at home, too! I'm always a homebody! Your ideas are what I mostly do too. Often this time of year, I try to think of things that I can get done inside the house that will make life easier later on. Cleaning, organizing, even thinking about the holidays and trying to get ahead on some things. Today I'm trying out The Inspired Room coloring book. Fun!! You are so organized, Stacey! I always try to craft for Christmas during the summer and I never get to it. Here’s hoping! Enjoy that book! You are on my team Kim...I love staycations! It is much more fun to be home with the people, food, and comforts we love, than to travel somewhere that could or could not be fun. I enjoy quick trips like 2 or 3 nights, but anything longer and I want to be home. So in love with your pool! Your family must love it out there!!! Last night we all hopped in the car and went for milkshakes. It was simple, but lots of fun!! I am a summer homebody. I enjoy all of your list as well. I love your pool area. It is so inviting. My sister and I are both homebodies and my kids just don't understand us. "How could anyone not want to travel?" My few trips have been wonderful but it is the getting there. Always glad to get home. Agreed, Lorri. I hate to fly and the traffic is horrendous where I live. In my youth, I traveled often and far, but no more. Being away is nice for a few days and as long as it’s not too far away. My kids don’t get it either. Having worked away from my home for so many years, I am thoroughly enjoying this season of my life. I won't say retirement, because I am busier now than ever before! I do so enjoy being home and all that it represents. I love your list of ideas. I truly am happy just doing what needs to be done at home. I do suppose at the top of the list though is tending the flowers. Love all the beauty they can provide! Perfect list for summer! I totally agree with you about the highway travel! This time of year our interstates seems 3X's as busy with everyone driving somewhere. I'd rather hit up a outdoor flea market or salvage place. Or better still, sit on the porch with some music in my ears and let the day the pass. Sounds like a divine summer day, Christine!! :) Enjoy! I think I am a homebody, yes...and reading out on the porch when the weather is right for it is a nice pastime....seeing your pool reminds me of when my sister had one. When our kids were growing up together the best times were right there at her pool! :) Even one of her dogs liked to take a swim in it sometimes. Your covered porch and blueberry water look very inviting as well. Deb, growing up we had a pool and even all these years later, my most vivid and hands down best childhood memories involve our pool. I am pretty sure our kids feel the same way! :) Thanks for the sweetness! I'm a homebody all year long, Kim. I have a couple of little trips planned this summer - a weekend at my brother's log cabin in Lake Sagada, a week on the shore in CT and a possible 3 day jaunt to Cape Cod. Otherwise, you'll find me out on the deck or patio reading, enjoying the peace or inside, in the AC trying a new recipe. Happy Summer! Happy Summer, Susan and enjoy that cabin vacation and the beach getaways! Oh my your yard is beautiful!!! I agree about being home;I would rather be home than ANYWHERE else!! I don't have the fanciest yard or a swimming pool, but I do have lots of bird feeders and in the evening, I can cruise around our big back lot on John Deere...accomplishing a little mowing, but mostly just enjoying the smells and sounds, dreaming a little, carrying a bag of scraps to feed the crows who follow me, soaking up the fading sunshine...yes, I even like to be extra warm and have a dragonfly light on my arm and ride for a bit!! I love all of your ideas and do most of them. I haven't had my time out in the yard to read yet, but I am looking forward to it! I am a year round homebody...the type that while packing to go away, I am anticipating coming home! I miss my pool and the days out there all summer. I loved to float and exercise in it. Happy 4th, Kim! Your summertime activities are very much like mine - when I was on the island, that is. I miss my pool, my garden, sea views, and the mountains. I couldn't agree more: there's no place like home! I hope you get back to visit some day, Poppy!! Great suggestions for this homebody. I do most except I leave the gardenng to my husband who loves it and I don't! LOL!